"You are destroying my mind. Don't you understand?" Bowie2001 - A Space Oddity. The full-feature film on DVD, a complete re-interpretation of Kubrick's 2001 to match Fritz von Runte's re-interpretation of Bowie songs. Shipping discounts available for UK and Europe. The collection of Bowie tracks re-imagined and re-mixed by Fritz von Runte. Complete unmixed full lenght new versions spanning Bowie’s vast discography. The non-stop mix of all the remixed tracks, an ambient journey into the world of Dr. Dave Bowie, the astronaut, the starchild and the rockstar. 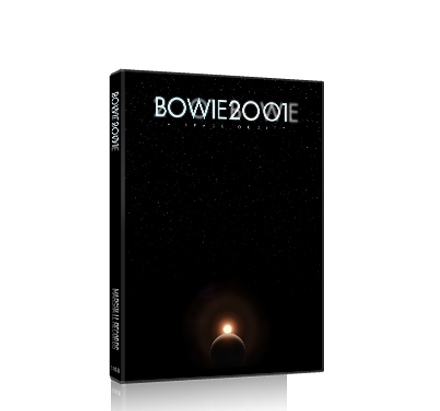 Features all the Bowie2001 Remixes plus a few other tricks. High Quality 320kbps files iPod-ready. The collection of Bowie tracks re-imagined and re-mixed by Fritz von Runte. 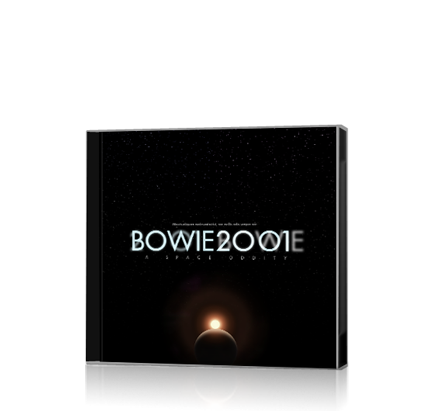 Complete unmixed full lenght new versions spanning Bowie’s vast discography on mp3. The Bowie2001 Instrumental collection on mp3. Your cart is empty... not for long right? Bowie2001 is a non-linear existential gothic drama hyper-cycle, a divine odyssey about the creation of the cosmos. Starman telling the story of starchild. Ziggy covered in moon-dust geysering into the vacuum of space. 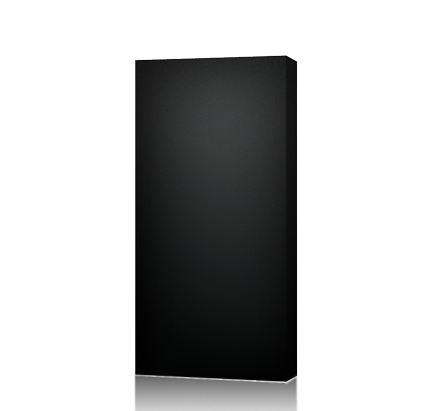 The Thin White Duke's pursuit of a wide black monolith. Major Tom killing Nathan Adler's electro-mechanical reincarnation as HAL 9000. From the Dawn of Supermen to Life in Mars and Beyond the Infinite, astronaut Dr. Dave Bowie tells the story of the universe with a supersonic musical piece synchronised with a intergalactic film, producing the transcendent experience known as Bowie2001; a mixtape, a movie, and also a remix album. Copyright © 2001-2010 Marshall Records.